I read Zen and the Art of Motorcycle Maintenance by Robert Pirsig in the mid-1970s, shortly after it was published and achieved instant fame. It may be the most popular philosophy book ever written, with over five million copies sold. One reviewer called it “a novel that is meant to both entertain and edify” and it does both these things very well. I was so absorbed by it that I read it twice. The title is a nice riff on Zen in the Art of Archery, a spiritual classic written in 1953 by Eugen Herrigel. That book approached zen the way most Japanese do – through ritualized arts of discipline and beauty, which may explain why it continues to be widely read. 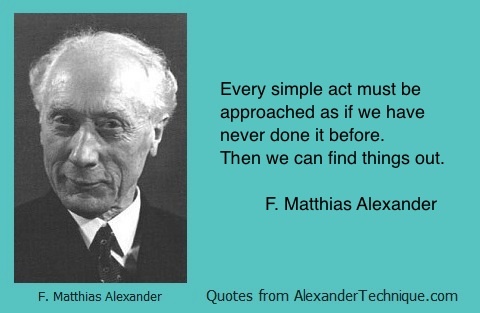 It has been popular with Alexander Technique teachers and students as long as I can remember. Both books use their author’s experiences as a vehicle to impart some profound ideas about life, and how we can make the best of our own. I recently listened to parts of a wonderful 1974 CBC Radio interview* with Pirsig and was struck again by the many resonances of his thinking with basic Alexander ideas. For example, he talks a lot about quality as something worth striving for. That’s certainly an Alexander aim too. Indeed the Technique can be described as a way of learn how to sit, stand and move through life with the best quality we’re capable of. Or as Marjorie Barstow, the first person to graduate from Alexander’s first training course in 1934 would say from time to time, “You people just won’t believe how simple this work is.” But she never said it was easy. Was F. M. Alexander a closet Zen Master? Alexander’s work was sometimes called a form of “Western Zen” – a description that Alexander probably would not have cared for. 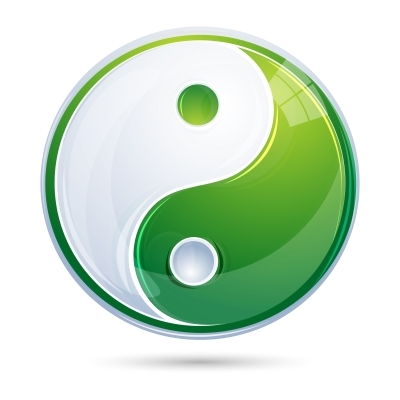 But certainly there are a lot of paradoxical aspects to the work – simple, but not easy for example – that have a Zen-ish quality. I’d love to hear what you think about these comparisons. Do you see any Zen connections with the Technique? What are the parallels, and what are the differences? Please leave your comments below or on Facebook. Very interesting interview! I’ve spent 2 years recovering from arthroscopic hip surgery for a labral tear, and contemplating teacher training either in AT or Feldenkrais to go beyond my current limitations. I’ve 6 years of private lessons in AT and very attracted to its mindfulness aspects, but have found Feldy more helpful for recovering from surgery. Ultimately I think it’ll depend on my connection with the teachers themselves.